Cleans the frames at the same time as the glass. Eliminates the use of ladders. Health and safety standards fulfilled. 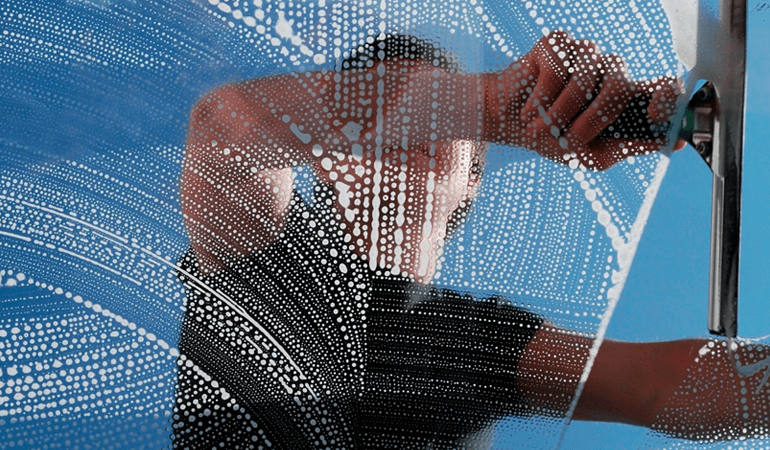 We will carry out all types of work within this service, including high level window cleaning which requires the use of mobile elevated work platforms and other forms of access equipment. We have the facilities and experience to provide a complete service. Within this area of work, we can also carry out sign washing, conservatory roof cleaning, the washing of UPVC windows, gutters and cladding.